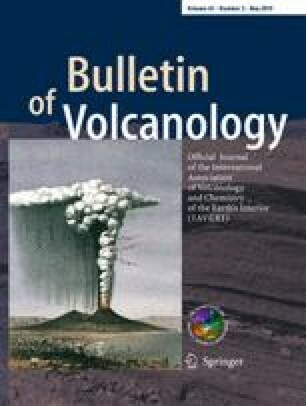 Explosive volcanic eruptions can have severe impacts on watershed hydrology. Among them, surface crusting of volcanic ash fallout following rainfall has been shown to favour runoff, erosion and lahar initiation. It may also hamper seed emergence and depress plant growth. However, ash crust formation is poorly understood. Reconstructed ash deposits were subjected to simulated rainfall to investigate the microscale morphological modifications of the ash deposit surface in response to raindrop impact. Ash samples from three volcanic eruptions (Mt. Merapi, MER, Indonesia; Eyjafjallajökull, EYJA, Iceland; and San Cristobal, SC, Nicaragua) with different particle size distributions and soluble salt contents were used in the experiment. Microcraters and micropeaks formed on the surface of all ash deposits after rainfall initiation. This was accompanied by fine material (also referred to as micromass) accumulation in the form of one or several layers, a few tens to hundreds of micrometres thick. Such morphological changes point to structural crust formation. The crusts consisted of a thin layer of tightly packed clay and silt-size ash particles (SC), overlain by loose coarser materials in micro-craters (MER) or by an almost continuous coarse-grained layer (EYJA). In all cases, the surface crust had a reduced porosity compared with the bulk material. Depending on ash particle size, crusting was governed by splash, compaction and vertical sorting (MER), vertical particle sorting (EYJA) or compaction (SC). No samples showed evidence of particle cementation through secondary salt precipitation. Our results shed new light on the mechanisms responsible for post-depositional crusting of a natural ash deposit. The online version of this article ( https://doi.org/10.1007/s00445-019-1289-6) contains supplementary material, which is available to authorized users. We thank the Departamento de Metalurgia Extractiva, Escuela Politécnica Nacional, Quito, for access to their scanning electron microscope facility. The authors are grateful to an anonymous reviewer and to V. Manville, whose detailed and constructive comments greatly improved the quality of the manuscript. The authors would also like to thank the Associate Editor for his careful and swift handling of this contribution. This study was supported by the Marie Curie Initial Training Network “VERTIGO” funded through the European Seventh Framework Program (FP7 2007-13) under Grant Agreement number 607905. I.T. benefited from a UCLouvain complementary PhD studentship (2017-18) funded through the Fonds Spéciaux de Recherche (FSR).